Apple is said to be spending as much as $1 billion over the course of 2018 on original TV programming. That's a lot of TV! It's not the $8 billion Netflix is going to spend, but it's still a huge commitment. What can you get for a billion dollars? Well, some simple math gives us 200 episodes at $5 million a piece (a reasonable per-episode price for high-end TV). But we're not likely to actually see 10-20 shows with 10-20 episodes each, all costing around that much. For starters, that billion dollars has to cover a lot more than per-episode production costs. The bulk of Apple's TV content is likely to be in production throughout 2018, with actual release dates in 2019. We'll probably see a mix of show types, from reality TV to dramas, and even a few films and miniseries, too. Currently, Apple's TV efforts are accessed through Apple Music, but that's not really an optimal experience. 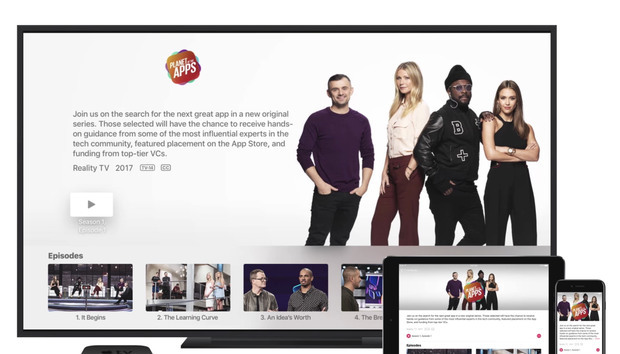 We don't know if the company will simply release content through iTunes, the TV app, or a new channel, but access is likely to be tied to Apple Music subscriptions—at least in the near term. While most of Apple's TV projects are shrouded in secrecy, what little we know confirms that Apple is spending big bucks on top-tier talent. The two projects released in 2017 (Planet of the Apps and Carpool Karaoke) were uninspiring, but prospects seem far better for the future. Here's a list of all the exclusive TV content we know Apple is working on, along with expected release dates. It's like Shark Tank for app developers! 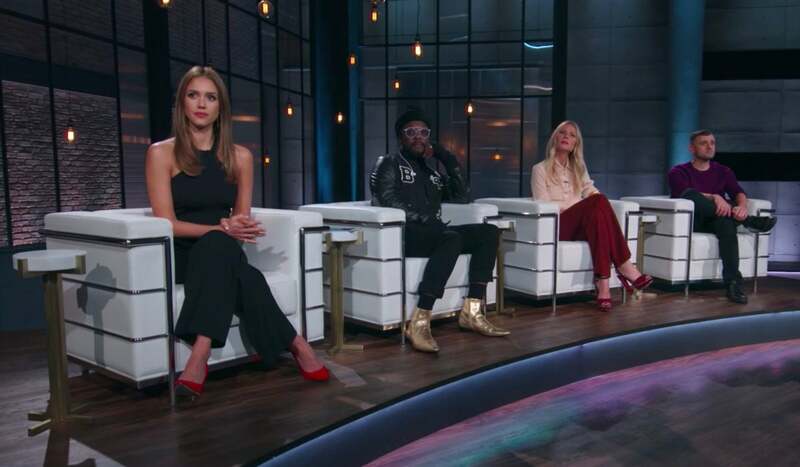 Celebrity judges Will.i.am, Gwyneth Paltrow, Jessica Alba, and Gary Vaynerchuk sit through pitches by app developers who go on to try to earn big VC money. It's...not great. There's nothing inherently wrong with Planet of the Apps, really. It's just sort of boring. Each of the 10 episodes is nearly an hour long, and doesn't manage to capture much drama about the developers or the challenges they face in bringing their ideas to market. It all moves too slowly, and feels crammed with "celebrity factor" where the developers should really be the stars. It's usually a short six- or seven-minute segment that can be quite entertaining. You know, just the right thing to go viral on YouTube (as several segments have done). Unfortunately, the tight, breezy pace of The Late Late Show segment doesn't translate well to a series where each episode is about three times as long. Perhaps it only works as a "break" from the in-studio talk show. Perhaps the whole concept is just a bit old and boring. Maybe it's Corden who makes the magic—he only hosts the first episode and the 19th and final one. For whatever reason, the hit segment simply doesn't translate into a hit show. 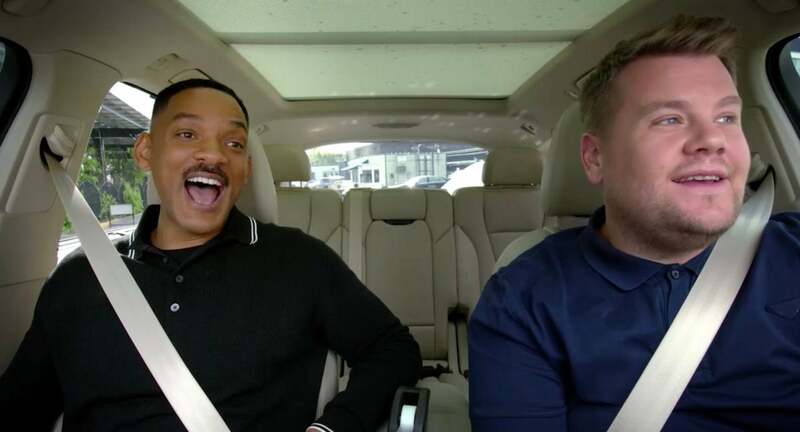 Carpool Karaoke: The Series premiered on August 9, 2017. It ran one episode per week for 19 episodes, with the last one posting on October 31. There has been no announcement of the series' return. Okay, so Apple's first two experiments with original programming weren't exactly Game of Thrones breakout hits. We can consider those to be toeing the water, with more exciting announcements to come. The first of which is a revival of Steven Spielberg's Amazing Stories. The original Amazing Stories ran for only two seasons in the '80s, yet was nominated for a dozen Emmys (winning five). So, the writer-producer of Dead Like Me, Heroes, Pushing Daisies, Hannibal, American Gods, and Star Trek: Discovery is getting a beefy budget to revive one of the most beloved and awarded (if short-lived) shows of all time. We can't wait! Apple has tapped Reese Witherspoon's production company Hello Sunshine to adapt the true crime best-selling book Are You Sleeping: A Novel by Kathleen Barber. We don't know a lot about it, except that the adaptation for TV is written by Nichelle D. Tramble (The Good Wife, Justified) and will star the excellent Octavia Spencer, who won an Oscar for The Help and was nominated for another for Hidden Figures. This new series (also produced by Witherspoon's Hello Sunshine production company) is not a morning news show. Instead, it's a drama about making a morning TV news show. It supposedly draws heavily from the book Top of the Morning: Inside the Cutthroat World of Morning TV by Brian Stelter. It's easy to imagine that what Sports Night was for SportsCenter, this show would be for the Today Show. So far we don't really know anything about it or when it will air, except that Apple has ordered two seasons of 10 hour-long episodes each. The writer and executive producer is Jay Carson, who served as a producer on House of Cards. The show doesn't have a title yet (that we know of), and has no release date. We don't yet know the series' title (it may not have one yet! ), nor when it will be released, but it seems early in production—there's no talk of directors or stars yet attached. Given that this is the kind of show bound to have plenty of post-production special effects, I wouldn't expect to see it until 2019. It looks like Apple wants to cash in on the "look at the fancy homes of fancy people" TV craze, with its own unique twist. According to Variety, Apple has ordered one full season of 10 hour-long episodes of a new show titled Home. It's billed as a documentary series, and is being produced by veteran documentary writer-producer duo Matt Tyrnauer and Corey Reeser, along with several veteran producers from Time Inc. Productions. It is said to "offer viewers a never-before-seen look inside the world’s most extraordinary homes, and delves into the minds of the people who built them." Waaay back in early 2016, word dropped about Apple's first homegrown TV series. Called Vital Signs and produced by Dr. Dre, it is said to be a six-episode miniseries where each episode focuses on a specific emotion (Vengence, Ego, Negativity, Innocence...). It's also a semi-autobiographical tale of Dre's life. Andre Young, aka Dr. Dre, produced the first real Apple original TV miniseries. But it's totally MIA. In the spring of 2017, star Ian McShane (Deadwood, John Wick), who plays Vengeance, said the series was going to release in August. Well, it's now way past August and we haven't heard or seen a thing about it. Not a trailer, release date, promotional art...nothing! Either the miniseries is in big trouble and has to be drastically re-worked, or it's just so good that Apple's saving it for a big launch of its original TV programs or perhaps a new streaming video service. By all accounts, filming appears to have been wrapped up for a long time.